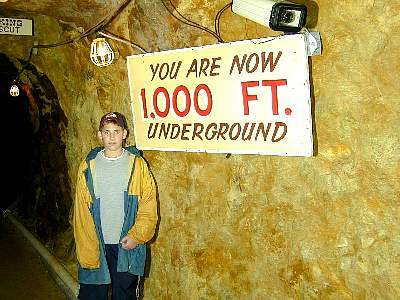 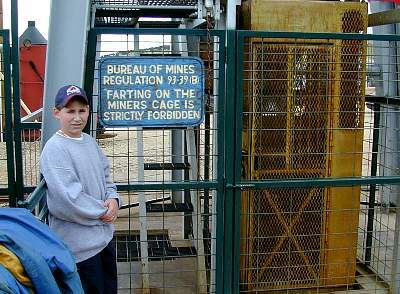 2000/7/16 - RJ in the Mollie Kathleen Mine during our tour one thousand feet underground in solid rock. 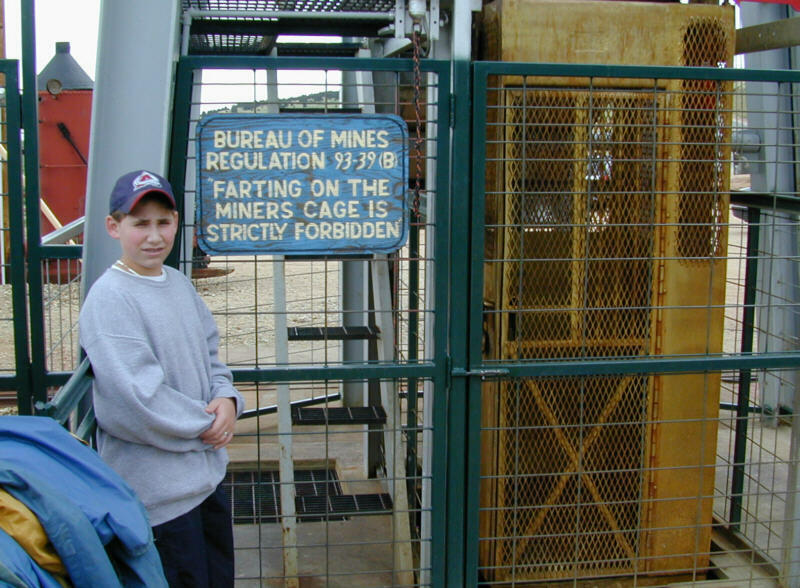 2000/7/16 - RJ at the Mollie Kathleen Mine after our tour showing the miners cage elevator and posted "rules". 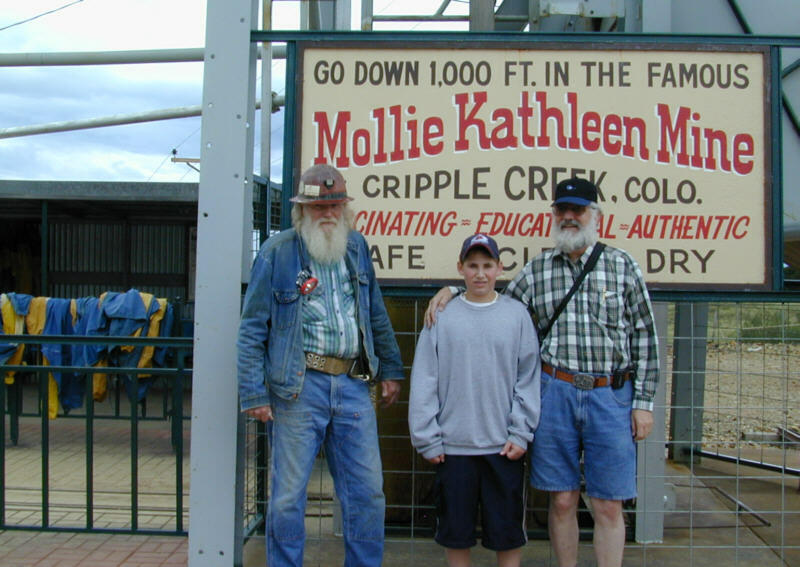 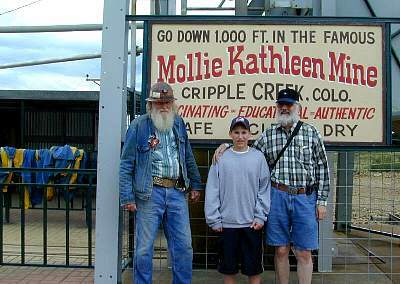 2000/7/16 - RJ and Dad (his Uncle Joe) at the Mollie Kathleen Mine after our tour with our guide, Bill, a professional hard rock miner. 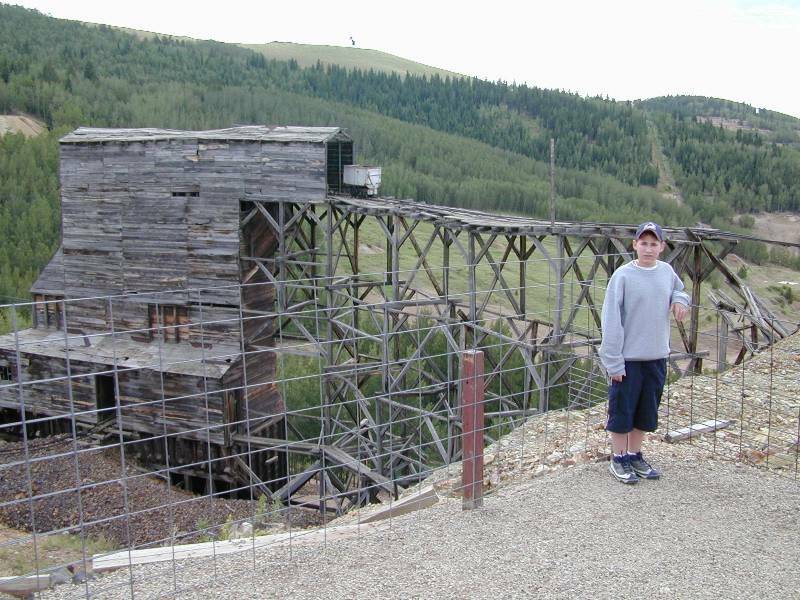 2000/7/16 - RJ at the Mollie Kathleen Mine after our tour with an old ore chute in the background. 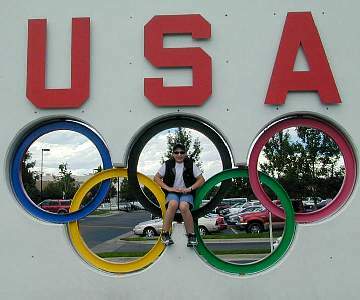 2000/7/18 - RJ in the Olympic rings at the Olympic Training Center (one of only 3 in the U.S.) in Colorado Springs. 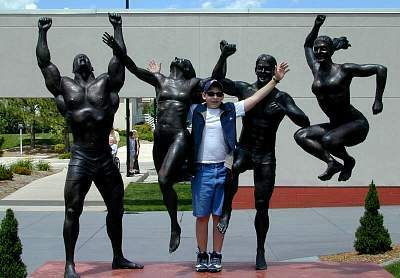 2000/7/18 - RJ celebrating with the "athletes" at the Olympic Training Center. 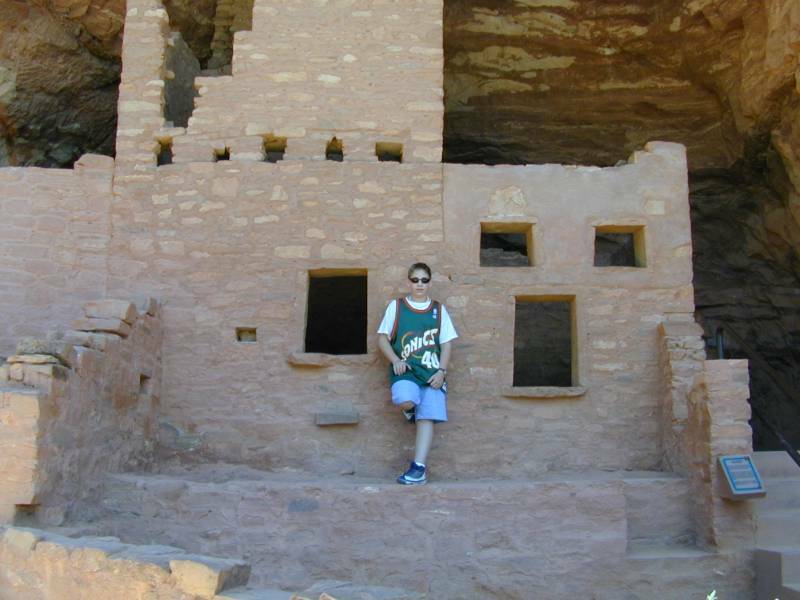 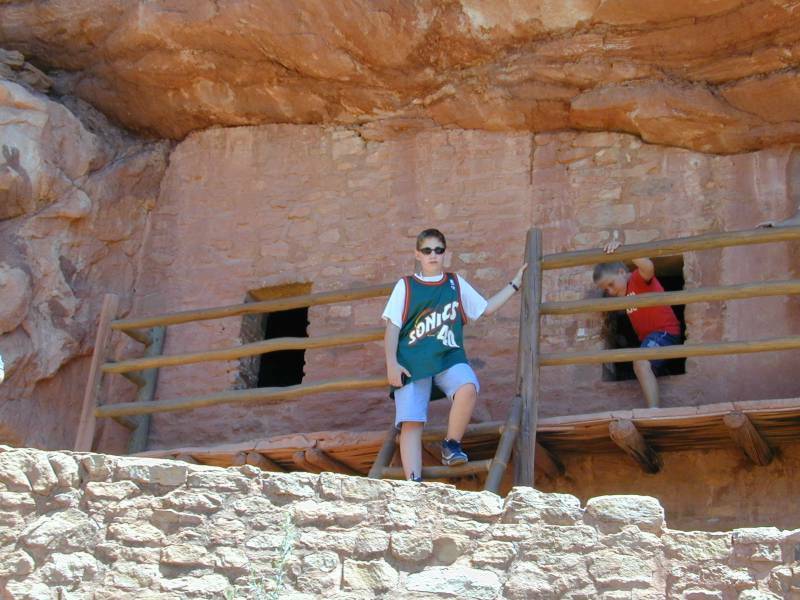 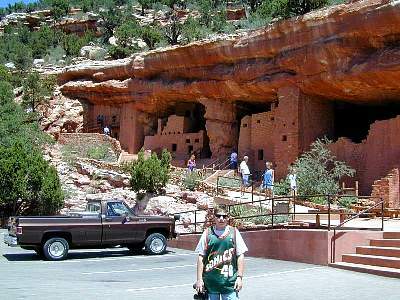 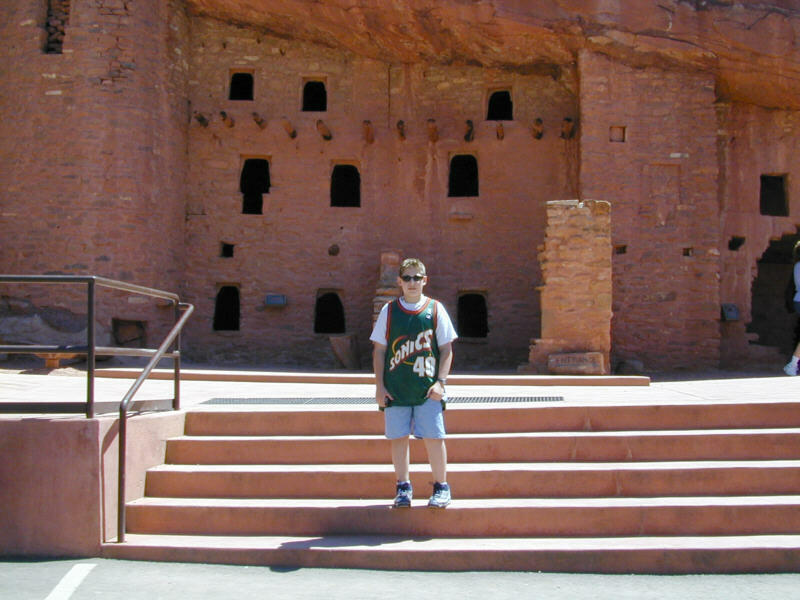 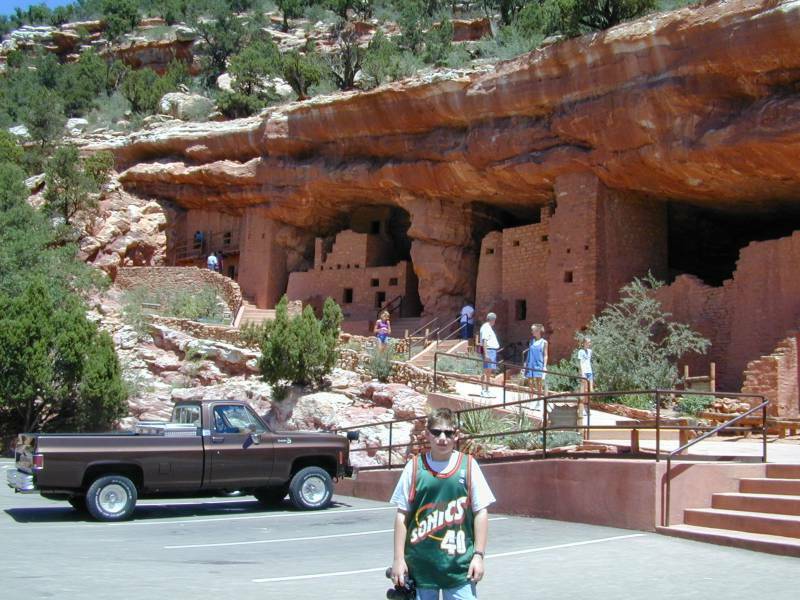 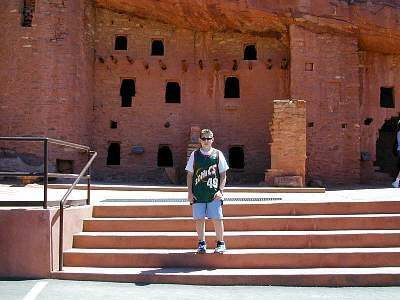 2000/7/18 - RJ at the Manitou Cliff Dwellings in Manitou Springs, Colorado. 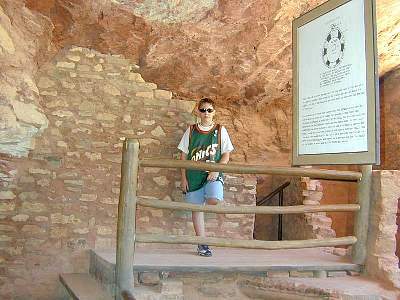 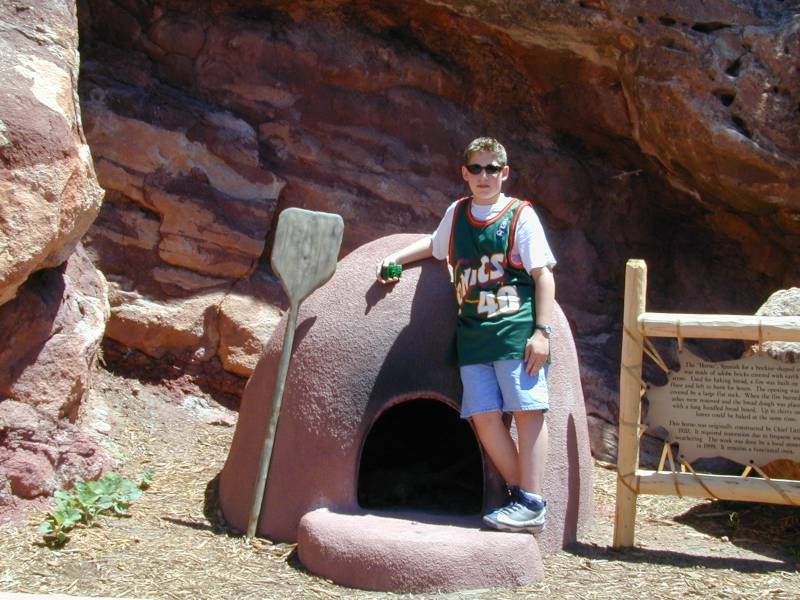 2000/7/18 - RJ at the Manitou Cliff Dwellings in Manitou Springs at a bread oven. 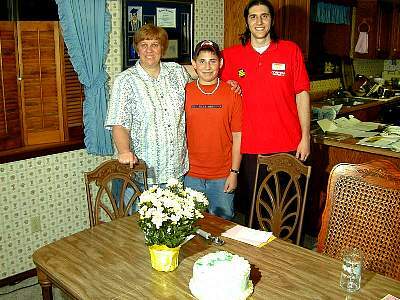 2000/7/20 - Mom (RJ's Aunt Cathy), RJ, and Joe celebrating Mom's birthday in our kitchen. 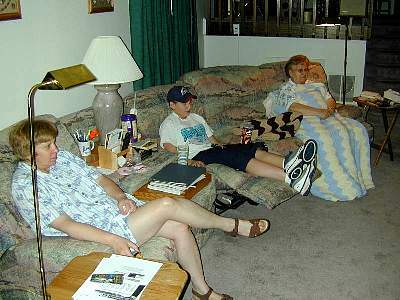 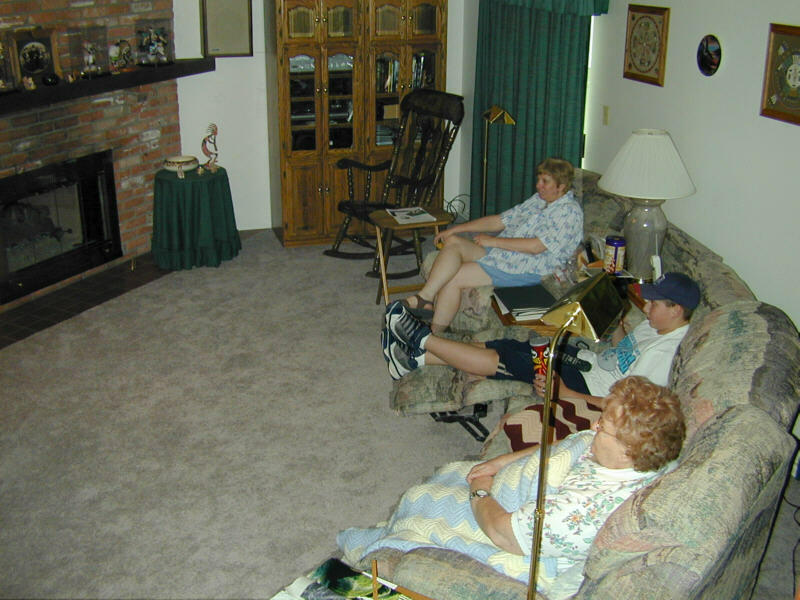 2000/7/21 - Mom (RJ's Aunt Cathy), RJ, and Grandma relaxing in our family room watching TV. 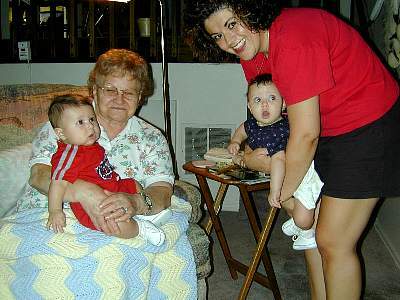 2000/7/21 - Grandma holding Salim and Becky (their Mom) holding Gabrielle (twins) in our family room.